Aren’t they stunning! For less than $2 each, Brittney was able to make some really beautiful gifts for her girls. 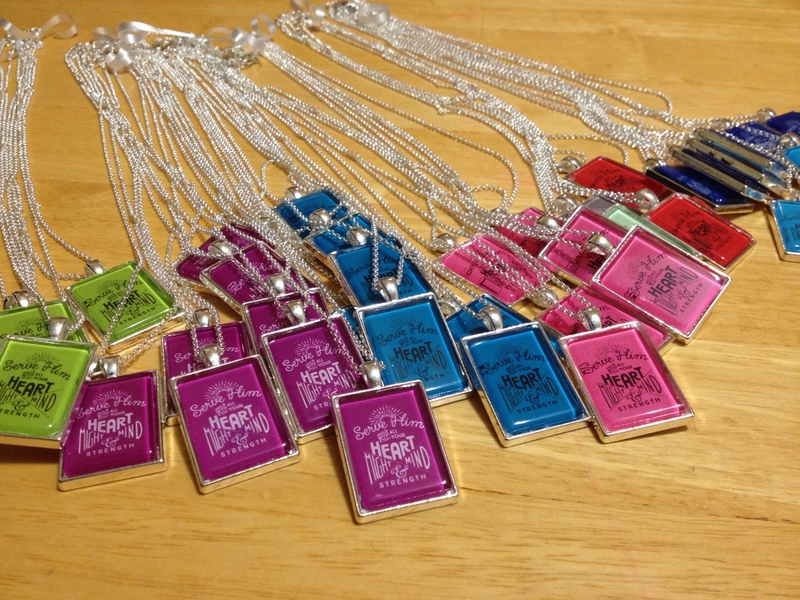 “Our New Beginnings was last night and all the YW loved their necklaces! I got my supplies and a tutorial for the necklaces. . . from Sun and Moon Crafts. [T]hey were great to work with. Their blog has lots of different supplies that are high-quality and at reasonable prices. They shipped in only a few days. “This was my very first time doing a project like this! I made 40 necklaces (less than $2 each) for all our YW and YW Leaders. It was fairly simple and I improved [my skills] the more I made. For this Brittney’s project, I created 7/8” x 1.25” rectangles to fit in the blank pendant trays she got from Sun and Moon Crafts. 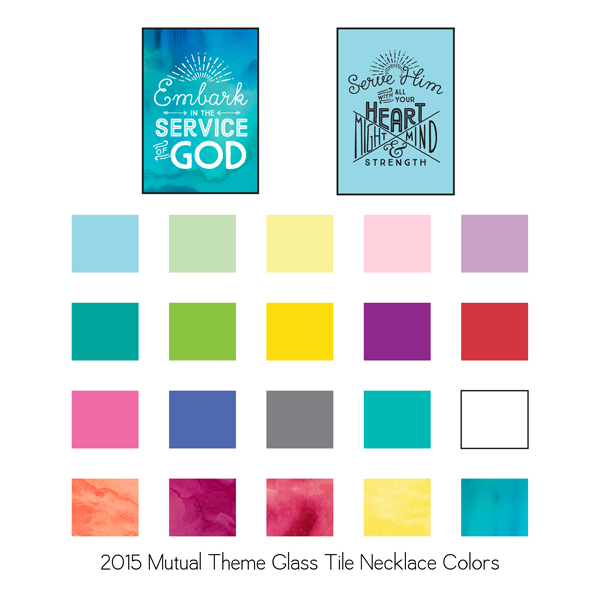 I am sharing my necklace inserts with you and although Brittney wanted to use just my Serve Him logo, I’ve also got an Embark version for you, too. 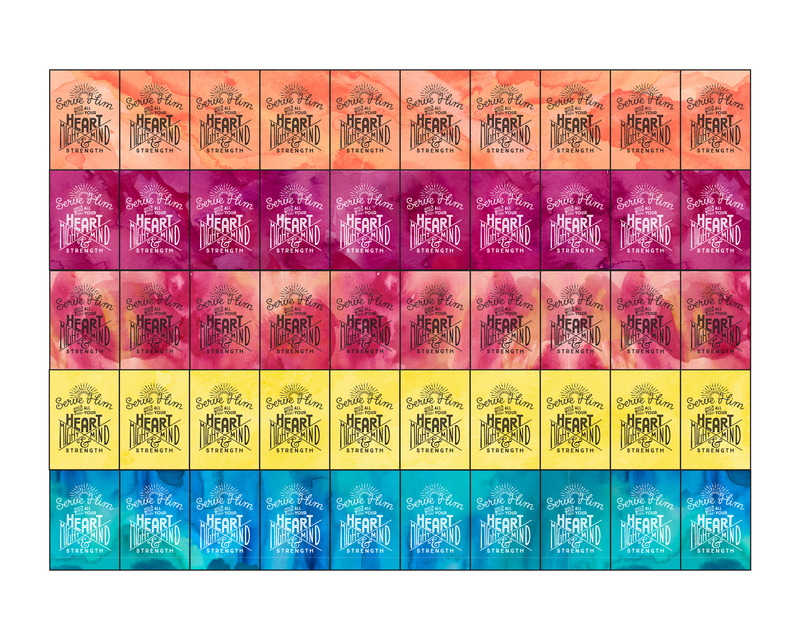 Each version comes in 20 DIFFERENT COLORS (including five watercolor versions) from pastels to brights. 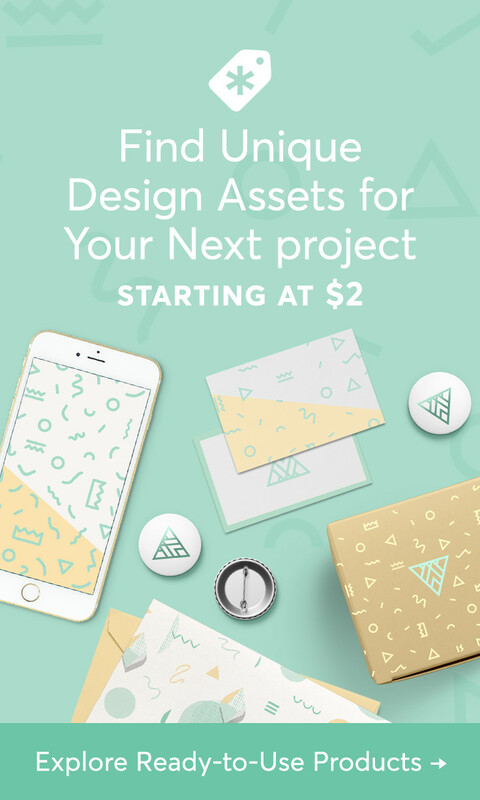 My download includes ten 7/8″ x 1/25″ rectangles of each color and logo version in both PDF and 8×10-inch JPEG formats. The PDF also includes a supplies list and links plus a link to the instruction tutorial. 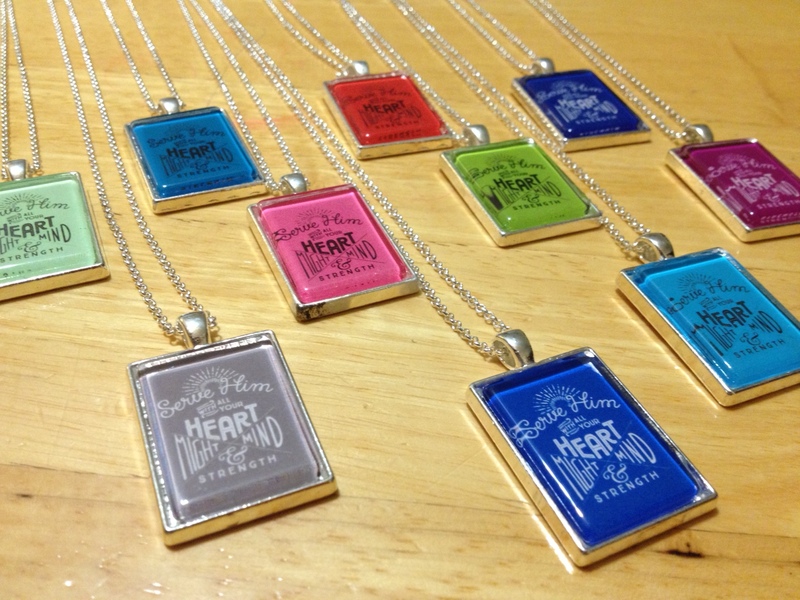 I LOVE how Brittney’s necklaces turned out! 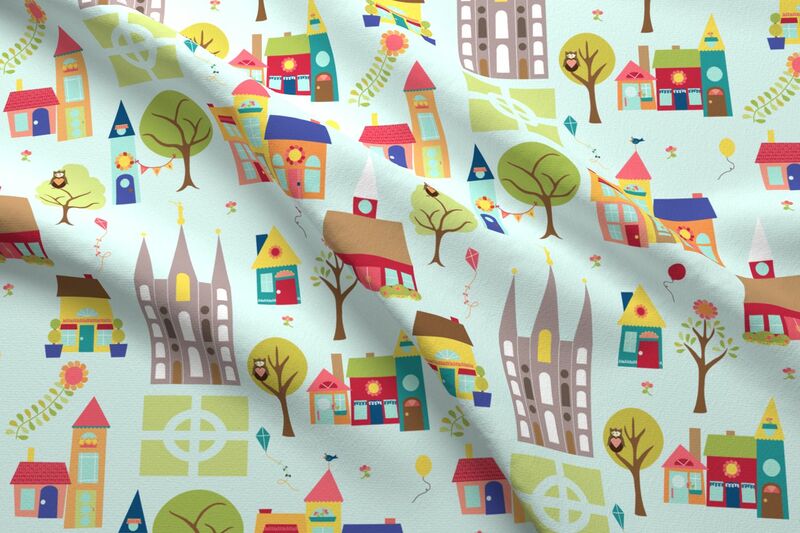 And, even though I am not in YW anymore, I think I want to make one for myself! 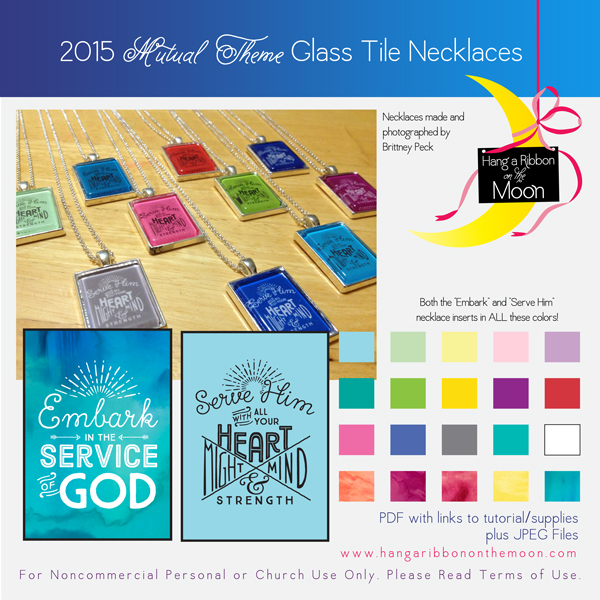 You can download my 2015 Mutual Theme Glass Tile Necklaces rectangles here. This is so great to see! Thank you for all your help Neisha! And I just LOVE the watercolor options! Really cute! I LOVE these! They are so cute. I will have to make one myself. I am loving these!! Do you have the new theme made yet for 2016? I would love to get some made.